Where can you find wildlife, family-friendly adventure and a history lesson – all in one place? Welcome to North Dakota. Home to pristine lakes and stark badlands, the state is, as its motto suggests, legendary. And it is easier to get to than you might think. Bordering both Saskatchewan and Manitoba, North Dakota is the perfect place for a border-hopping weekend getaway. 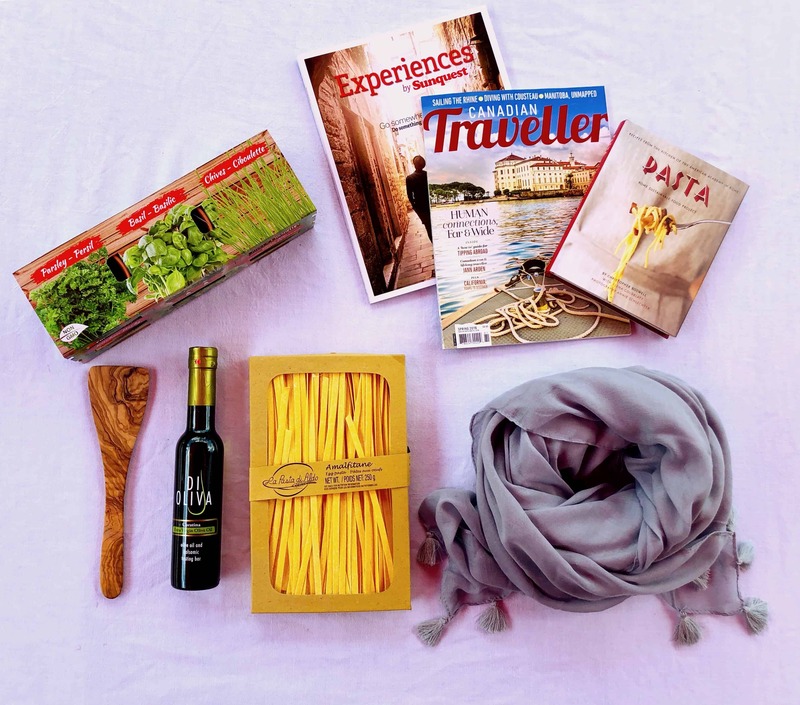 But we warn you, with so much spectacular nature you'll be tempted to stay much longer. Description: An old homesteading site, Fort Ransom State Park encompasses 887 acres of rolling prairie and quiet forest. Keep an eye out for beavers, squirrels, foxes and a wide array of birds, or stop by one of the two homesteading sites in the park for a taste of early settler life. 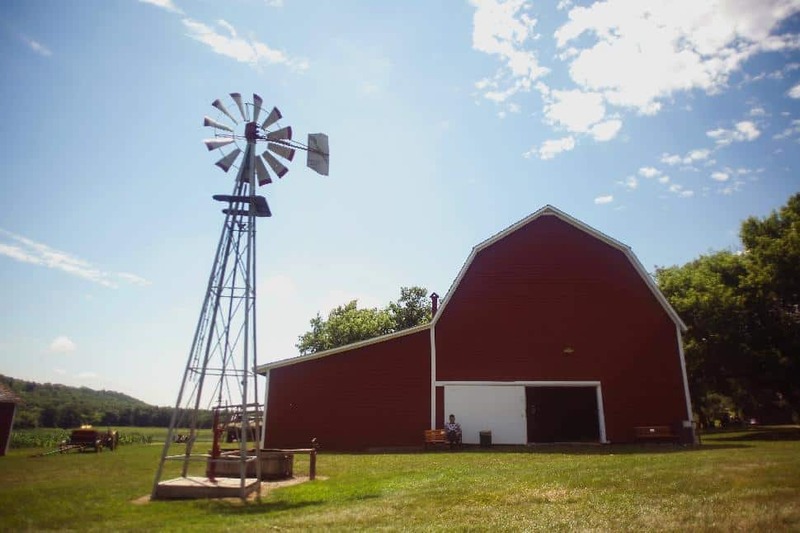 Family-Friendly Activities: For a fun family adventure, rent a canoe or two and spend some time exploring the Sheyenne River, which runs through the park. Or, join the family-friendly revelry of the Sodbuster Days festival at the Sunne homestead. Description: Lakefront and gentle plains characterize this popular bird-watching destination. Beaver Lake State Park spans 283 acres and is home to fox, coyote and deer. It features a network of short trails, including an interpretive hiking trail and a shared hiking/biking trail. 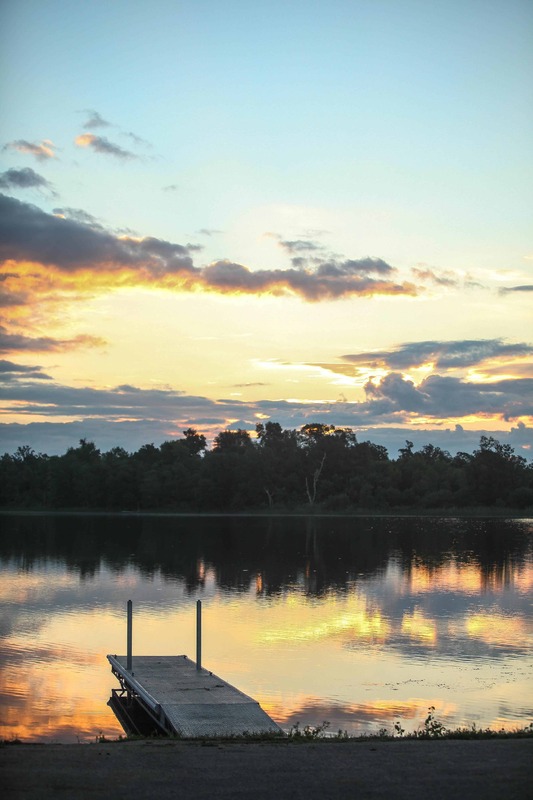 Family-Friendly Activities: Cool off in Beaver Lake with swimming, canoeing or waterskiing. Hike or bike the trails around the park; check out the Moraine Loop Trail for a great view of the lake and to experience the post-glacial landscape. Description: 1,007 acres of Great Plains, woods and shrublands alone make this park worth a visit. But the real draw is its military and Native American history. 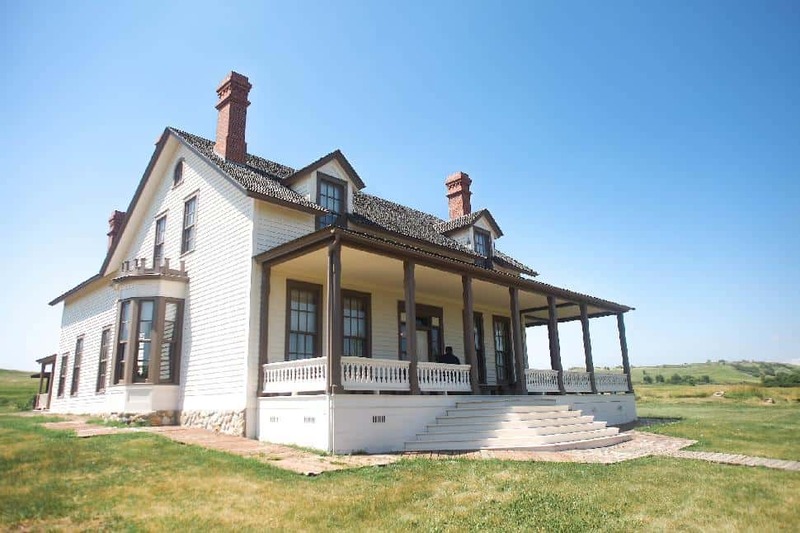 A historic Mandan Indian village site lies within the park’s borders, as well as the fort from which Custer and his men rode to the fateful battle at Little Bighorn. 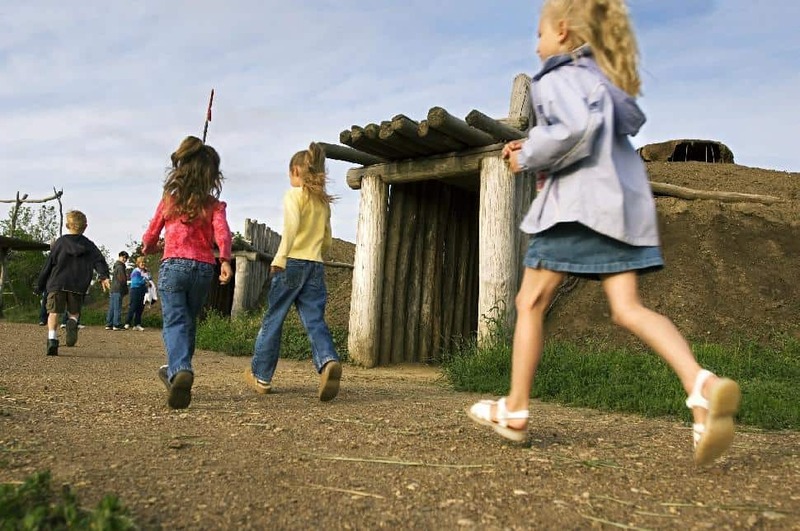 Family-Friendly Activities: For a small admission fee, visit On-a-Slant Indian Village, to learn about the ways of life of the people who once lived there. Multi-use trails offer scenic views of the park — for especially impressive scenery, try the Little Soldier Loop trail. Amenities: Campground, cabins, primitive (hike in, hike out) cabins, playground, canoe and kayak rentals and a yurt. Description: Cradled among the gentle hills of the Turtle Mountains, Lake Metigoshe State Park is characterized by wetlands, clear lakes and tranquil oak and aspen forests. The 1,551-acre park is also a wildlife reserve,and home to many rare bird species, along with deer, loons and even moose. Family-Friendly Activities: Take a canoe out on the Canoe Trail, which takes a scenic route through the wetlands. Or forge your own path — canoes are permitted on all of the lakes ad wetlands in the park. Description: Named for the explorers who camped nearby on their famous expedition, Lewis and Clark State Park is considered one of the state’s best recreation areas. 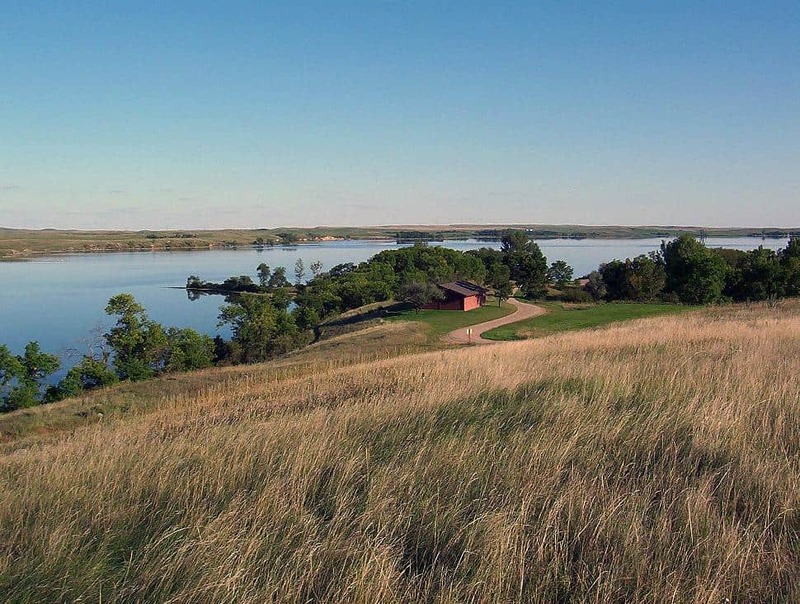 Located in the North Dakota badlands, on the shores of Lake Sakakawea, the park is a favourite spot for boating, fishing and hiking, as well as offering historical and ecological interpretation activities. 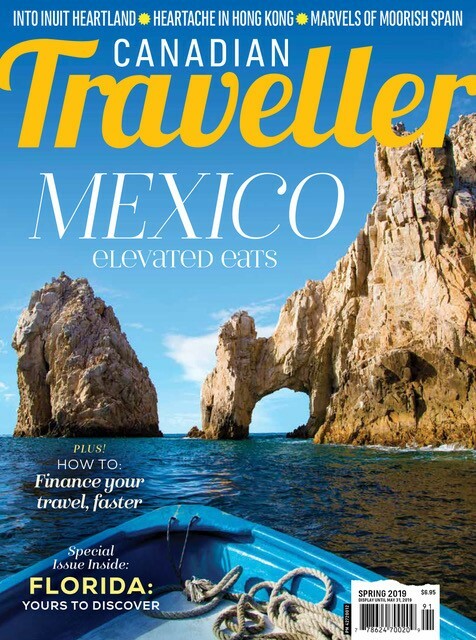 Family-Friendly Activities: Spend at day at the washed sand beach, or try your luck at fishing. Hike the Shoreline Trail along the lakeshore and look out for falcons and hawks. Attend one of the many weekend interpretive programs offered. 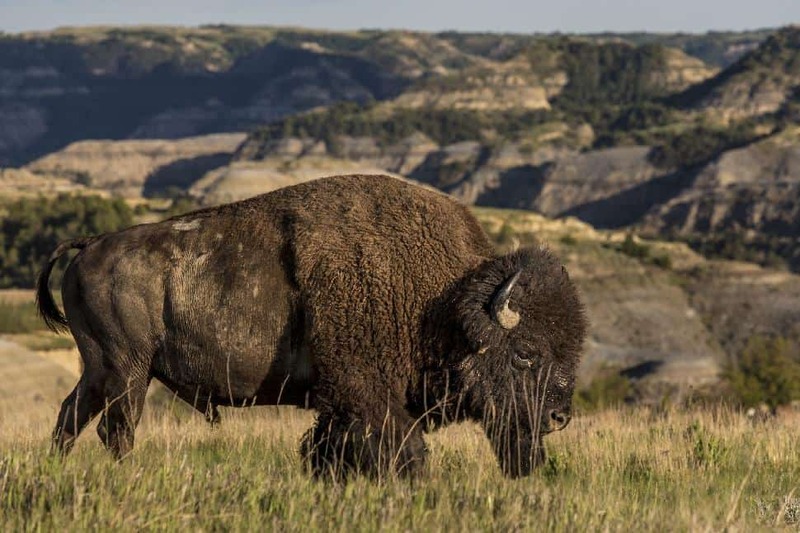 Description: As its name suggests, Theodore Roosevelt National Park was opened in honour of the President. The park operations strive for learning through conservation and education. 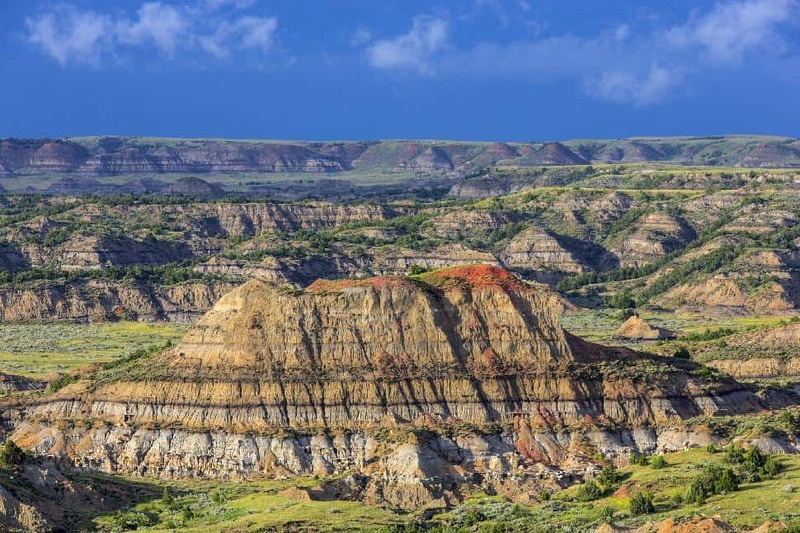 The view from Painted Canyon stretches over the prairies and serves as the first glimpse of the Badlands for westward-bound travellers. It has been said to enchant and terrify all at once. 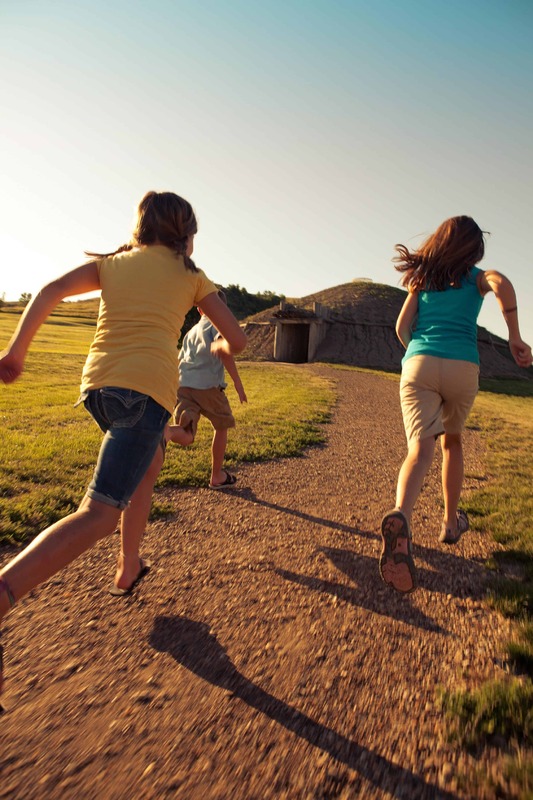 Family-Friendly Activities: At Theodore Roosevelt National Park, your child can become a Junior Park Ranger. The Junior Ranger Field journal is free to pick up at any of the park’s visitor centers. There are additional online games available on their website. 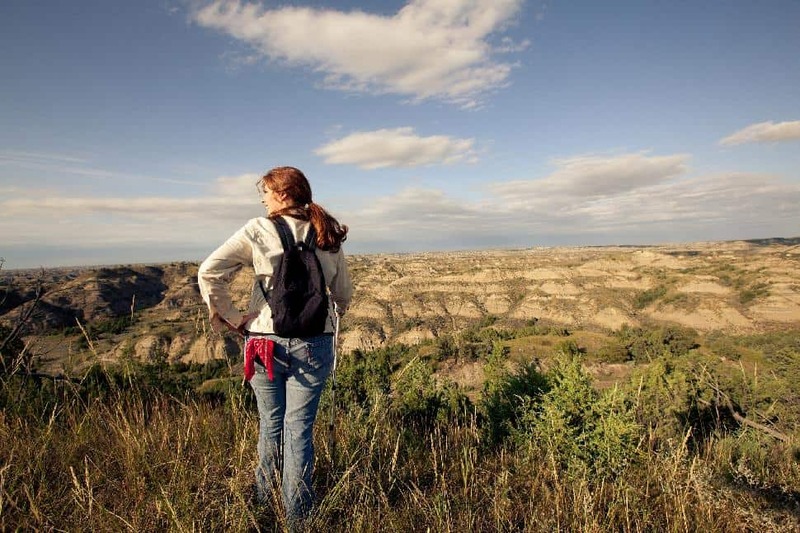 Ready to travel legendary in North Dakota?